Born Pretty Store - 3D Feather Nail Stickers - Polish Etc. 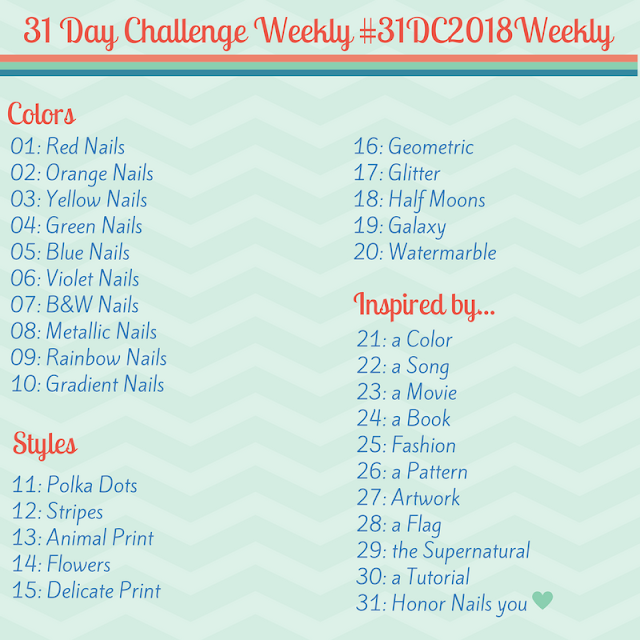 I have a little bit of easy nail art to share with you today. 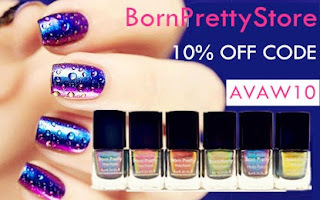 I have reviewed some nail art supplies from Born Pretty Store here before. There are tons of items to choose from and many of them make adding a little flare to your nails super easy. Nail stickers are one of them. To be honest, I had never used nail stickers before. The ones that I had seen in the stores and nail shops all seemed too thick on the nail and a little tacky. 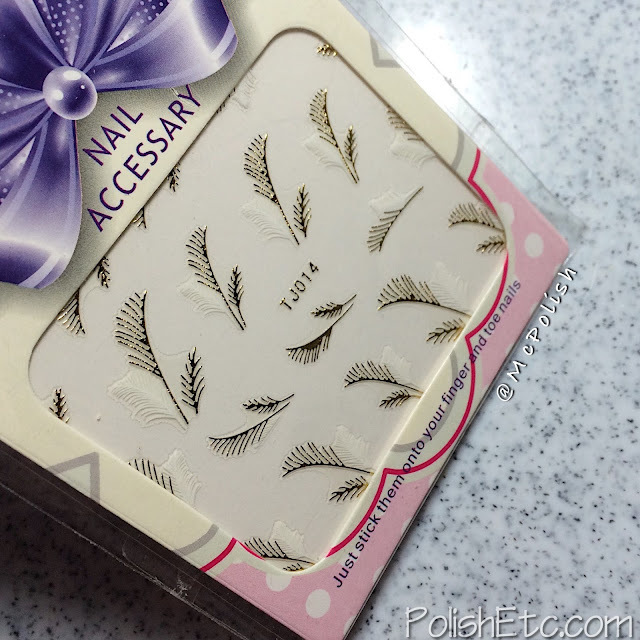 So, I was pleasantly surprised when I used these feather stickers from Born Pretty Store. Not only were they the easiest to apply nail art item ever, but they looked elegant! I was anticipating these 3D stickers to be bulky and it be very obvious that there was a sticker on my nail. But no! I can't even make out the edges of the clear sticker base in my mani. I did use a shimmery base color which probably helped. If I had used a shiny creme polish, you might have been able to see the outline of the base more. These get an A+ in my book. The base polish I used was a blue/green/gold satin finished shimmery polish from Misslyn called "Interpretation." This is a German brand and sent to me in one of my swaps with Lotte at Marzipany. 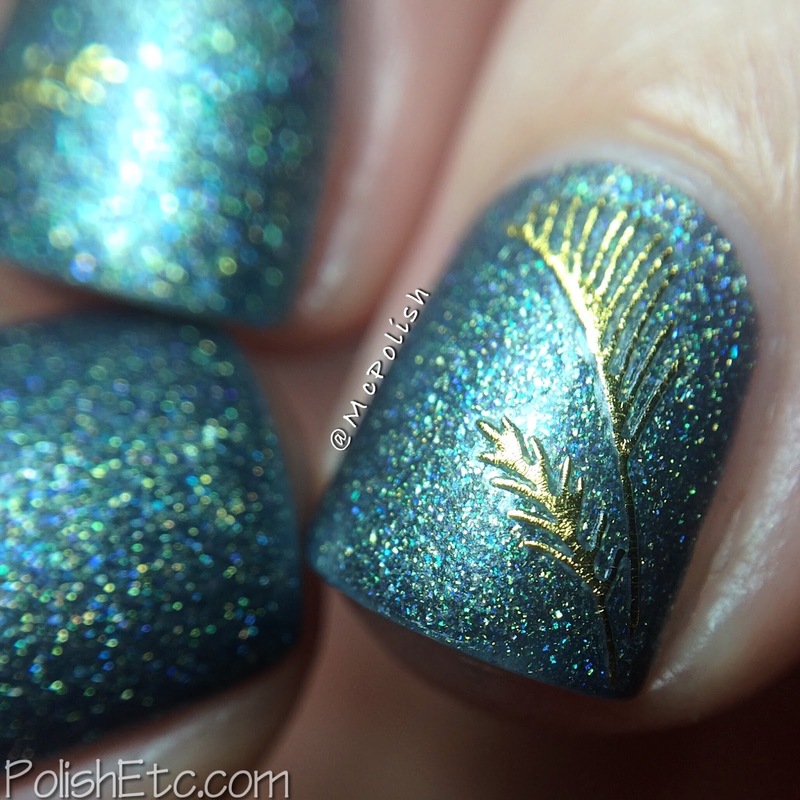 I used two of the gold feather stickers from the "Feather Flower 3D Nail Art Stickers #20696" pack. There were also feathers of gold and white in this pack but I thought the plain gold ones worked the best. All I did was stick them on. They stayed put and didn't peel up at all. I didn't use a top coat and wore this mani for several hours. Later in the day I put a glossy top coat over them just too see how it looked. I really liked it both ways! Which do you like best? Have you ever used nail stickers before? I am going to have to rethink my expectations. Next time I see stickers available, I won't immediately discount them. I do have another packet of nail stickers to try from Born Pretty Store. I hope they turn out to be winners like these. If you place an order to Born Pretty Store, be sure to use my code for 10% off your entire order. Shipping takes a little bit of time as these items are coming from China but the prices are well worth the wait. Discount code is AVAW10. I do not get anything from you using this code, it is just a discount for you!